Please Note UKAL does not endorse or promote any external sites these are for educational purposes only. Hope Together are promoting another gospel through the Bible Series and another attempt to draw us into the RCC they start leading many into apostasy, we need to be more vigilant in these last days. “THE BIBLE is an epic 10-hour mini-series to be broadcast on Channel 5 with the first episode airing on November 30 at 9pm. The series brings to life the dramatic tales of faith and courage in the most widely-read book of all time. Breathtaking in scope and scale it features powerful performances, exotic locations and cutting-edge visual effects to create a spectacular television event that will entertain and inspire the whole family. From Genesis to Revelation, THE BIBLE series features some of the most famous stories ever written and some of the most iconic characters. Visit Scripture Union’s resource page for The Bible Bank and The Bible e-book, free resources helping you to engage with the THE BIBLE mini-series. What exactly does the Bible Miniseries Teach and who are the Spiritual Advisors Behind The Bible that Hope Together and Scripture Union are promoting? “We weren’t qualified to teach the Bible, but we knew plenty of people who were,” – The Bible mini-series co-creator Mark Burnett, speaking of the panel of spiritual advisers who helped make the mini-series. Craig Groeschel of LifeChurch.tv, which is famous for its rendition of “Gangsta’s Paradise” during Sunday service is also on the board in addition to a number of Catholic advisers as well. What all these people have in common is teaching doctrines that are not found in the Bible and often contradict the Word of God. As The Lord Jesus Christ explained in the passage above, if the spiritual foundation of a mini-series is filled with heretical, New Age pastors, the “fruit” of the mini-series will be questionable. In this day and age of spiritual confusion and heresies, it is very important that a Christian message is based on sound, Biblical doctrine. Obviously, in a theatrical presentation, there is an understandable, creative license, because not every detail of every story is included in Scripture. 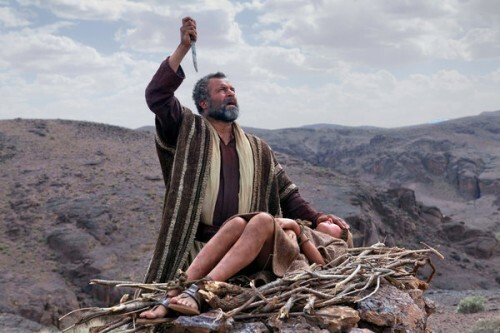 Thus, in a scene where Abraham greets Lots and says “Lot, my nephew!”, while not in the Bible, is done to inform the viewers of the relationship and the facts of these Biblical men. 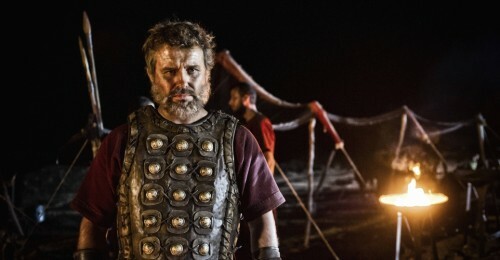 But The Bible Miniseries goes well beyond this as it changes much of the core message of the Bible and alters facts from Biblical accounts for no real reason other than entertainment value. Noah’s sons are small children. In the Bible they are actually grown, married men and they and their wives come on to the ark. This is one of the most important verses in the Bible as it marks the first prophecy of the Messiah, Jesus Christ, who would be born of a woman and one day conquer Satan. This was done on the cross, when Jesus gave His life as a sacrifice for the sins of humanity, allowing forgiveness for those who put their faith in Him. All of the history in the Old Testament is centred on the expectation of this prophesied child one day being born. The many challenges and battles fought in the Old Testament often centred on preserving the lineage of the Messiah. And yet somehow, The Bible Miniseries has left the most important aspect of the Bible, out. In ignoring sin (the word is not even uttered in the first 2 episodes) and neglecting to mention God’s forgiveness and plan for redemption of humanity through the Savior, Jesus Christ, the main message of the Bible is lost. Adam names his wife Eve, meaning mother of all living, expressing hope in the promise that their “seed” or child, would crush the serpent and redeem them. And God showed another sign of His grace and willingness to forgive by making clothing for them out of animal skins. It was only after Adam and Eve sinned that their nakedness became a shame to them. And nakedness in the Bible is symbolic of sin. By God sacrificing a creature to cover their shame with animal fur, once again we have a beautiful foreshadow of God providing the ultimate sacrifice: His Son, Jesus Christ, in order to atone for the sins of all people. Yet again, The Bible Miniseries ignores this very important detail. Instead, Adam and Eve are banished from the Garden with no repentance and no hope of redemption. God is basically does with them, completely contradicting Scripture. 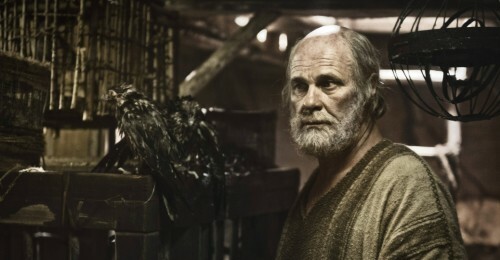 Abraham, whose name was actually Abram at the time depicted in the scenes in The Bible Miniseries. The Abrahamic covenant, where God promised to Abraham a great nation and that his seed would inherit the Promised Land, a foreshadow of all believers receiving eternal life in Heaven, is also the chapter where Abram’s name was changed to Abraham, signifying, as The Lord said: “..for a father of many nations have I made thee. And I will make thee exceeding fruitful, and I will make nations of thee, and kings shall come out of thee. And I will establish my covenant between me and thee and thy seed after thee in their generations for an everlasting covenant, to be a God unto thee, and to thy seed after thee.”(Genesis 17:5-7). Thus the Messianic bloodline established with Adam and Eve, the hope of all humanity to be redeemed and saved from the clutches of sin and damnation, would be continued through Abraham. This is a critical point to understand God’s plan through the Bible and the presence of Jesus throughout Scripture. Jesus said: “Search the scriptures; for.. they are they which testify of me.” (John 5:39). Abram is portrayed as a ruddy, nomad scraping to survive. The Bible says: “And Abram was very rich in cattle, in silver, and in gold.” (Genesis 13:2). Notice in Abraham there is no doubting. He just listens to God and obeys. He rises up “early in the morning” to pack his things and take Isaac to Mount Moriah. And he tells his servants that he and Isaac was leaving on their own, but would “come again.” He never doubted that Isaac was going to return alive. As Abraham predicted, God did indeed provide a ram as a substitute offering in place of Isaac. Some may ask: “Well, if God knew Abraham was faithful, why put him through this gruelling test anyway?” The Bible tells us that all of these events in the Old Testament happened: “for examples: and they are written for our admonition, upon whom the ends of the world are come.” ( 1 Corinthians 10:11). If it is heart-wrenching to the reader to even think that Abraham was asked to offer his own son as a sacrifice, know that this is precisely what God has done for you. God offered His own Son, Jesus, as a sacrifice to take the punishment for the sins that humanity committed. Just as God provided the ram as a substitute for Isaac, God provided Jesus as a substitute for you, so you would not have to go to Hell. Why? Because God loves all people and is “not willing that any should perish.” Jesus’ sacrifice of His perfect, divine blood was the only way to provide forgiveness for all sins for all people for all time. And it takes faith to receive the gift of eternal life. Hebrews 11 tells us that Sarah had faith that she would conceive a child at age 90. She believed God with true faith that He would bless them with the seed that would continue to lead to the Promised Messiah. It then goes on to say about Abraham: “By faith Abraham, when he was tried, offered up Isaac: and he that had received the promises offered up his only begotten son, Of whom it was said, That in Isaac shall thy seed be called: Accounting that God was able to raise him up, even from the dead; from whence also he received him in a figure.” Abraham believed that even if Isaac died on that altar, God would raise him from the dead in order to fulfil the promise that Isaac would have many children and descendents and a nation would come through him, again giving a foreshadow to God raising His only begotten Son, Jesus from the dead, 2000 years later. Does The Bible Miniseries illustrate these powerful points? Not at all. Instead of being astonished and worshiping at the feet of Jesus, Peter asks him “How did this happen? What did you do?” as if he had no idea what was going on. The Jesus character (who looked like the Renaissance era/Catholic depictions of Jesus) responds: “I am giving you the chance to change your life.. giving up catching fish and I will make you a fisher of men.” Peter answers “What are we going to do?” showing he still does not really understand if Jesus is divine or why it would be necessary for people to know Jesus. And the Jesus character’s answer is “Change the world.” No mention of sin, acknowledging of Jesus as God in the flesh or a real salvation message. Instead, it is almost a social justice message. Jesus Christ did not come to change the world, He came to save it from its sin. Without understanding that sin is the greatest problem the world is facing, Jesus’ message could be changed to just helping the poor, or providing water wells for communities in drought or working in a homeless shelter. All these actions, while noble, will not get you to Heaven or make one right before God. This is the problem with many churches as they put an overemphasis on “changing the world” without first changing the sinful heart that has led a person into sin and damnation, lest they believe the Gospel. And the false doctrines being preached today, while exciting are not Biblical. Do not be deceived. Background Information on the Roman Catholic Director, Roma Downey. What does Roma Downey, the co-producer of The Bible miniseries, believe? We know she and her husband Mark Burnett are Catholic. But did you know she also attended the University of Santa Monica, a private graduate school founded by New Age spirituality and self-help guru John-Roger? She will graduate with a master’s degree in spiritual psychology in June. This article originally appeared here at Christian Research Network. 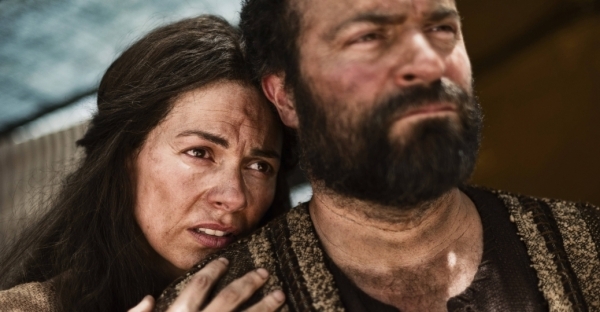 In spite of its gross theological and historical inaccuracies, The History Channel’s miniseries, ‘The Bible,’ has become quite a sensation among professing Christians. Evangelical leaders can be seen and heard promoting the production across nearly every social media platform. Men such as Joel Osteen, Rick Warren and T.D. Jakes, all of whom also served on the Board of Advisors for ‘The Bible,’ is perhaps offering some of the loudest praise. To the dismay of many, the show also earned the endorsement of well-known creation ministries. This likely was because it accurately depicted a literal Adam and Eve and a global flood, though accuracy in these two points ought not cause one to overlook the vast number of other errors. Yet, as noted, Comfort appears to be in the minority with his humble willingness to withdraw any praise or endorsement of ‘The Bible’ miniseries. Further, in the midst of the drama and special effects, it seems that another fact has been overlooked or ignored by many evangelicals who are promoting this program, and that is that executive producer Roma Downey proclaims herself to be a devout Roman Catholic. As is documented here, many of the mystical practices of spiritual formation originated within the Roman Catholic Church with the Desert Mothers and Fathers. Thus, Downey’s search for a ‘God voice’ within herself and her propensity to ‘see God in everyone and everything,’ though not biblical, is not necessarily in contradiction to her own Roman Catholic faith. Yet, as countless numbers of professing Christians, and even many unbelievers, gather on Sunday evenings to watch ‘The Bible,’ many likely remain dangerously ignorant of the erroneous theology that may have impacted this production. Those who are watching, then, are urged to do so with caution, with discernment, and with the true Bible in hand. 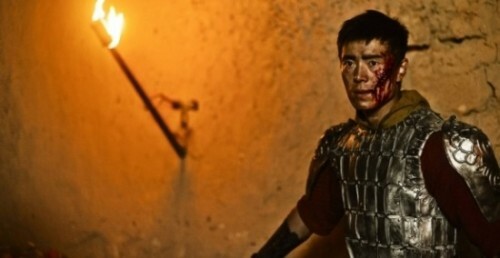 Once ‘The Bible’ miniseries is compared to the real thing, it should not take long to realize that the book is far better. Roma Downey and the New Age. Lest one think this is a fully accredited four-year university with degrees in several schools; it is not. USM only offers an advance degree in “Spiritual Psychology”. If there is any question as to whether this is tied into New Age thought one only has to look to the founder of USM, Roger Delano Hinkins [I added this link-DM], who goes by the name, John-Roger. Hinkins, or John-Roger, is a prominent New Age author and teacher. “Roma also attends the University of Santa Monica, a private graduate school founded by New Age spirituality and self-help guru John-Roger, and will graduate with a master’s degree in spiritual psychology in June . Zoo… when did Downey supposedly becomes a Christian? Before or after getting a Master’s degree in Spiritual Psychology? And perhaps Downey received this degree near the same time she was “contemplating” a production of “The Bible”. Sounds to me like Downey is claiming to be a “Christian” in the same way Oprah Winfrey is claiming to be a “Christian.” It would be interesting to see Downey go on an Oprah show as a guest. Wouldn’t that be a hoot, seeing one famous New Ager who insists she’s a Christian talk with another famous New Ager who insists she’s a Christian. I stumbled across several articles connecting self-proclaimed “Christian” Roma Downey with psychic medium John Edward. The Bible condemns occult practices such as those of John Edward. Seems to me this is powerful proof Downey is not a Christian as she claims, but a New Ager. Roma’s mother, Maureen died of a heart attack in Derry when she was 10. Facing the audience, he said: “I hear you cry. I hear some sort of popping. The book above by well-known author John Edward was published in April . Practical Praying is divided into three sections; the first includes Edward’s thoughts about writing the book and his own personal approach to prayer, as well as the history of the rosary in the Catholic Church. The second section discusses the usage of the power of prayer through the rosary. The last section is the audio CD, which the author says is “one of my favourite parts of the book. It’s unbelievably beautiful.” Roma Downey refused to accept pay for her work, instead asking Edward to make a donation to Operation Smile in her name “so she could pay for more smiles,” he said. You might enjoy purchasing one of Roma’s beautiful rosaries from her collection at QVC to use when listening to the Roma’s beautiful voice or you may use them and pray the rosary with her. For those that may be surprised that John Edward wrote a book all about the use of the rosary in your life, you may feel differently after reading a recent article Praying the Rosary [link not included] John Edward’s new book details his favourite ‘weapon of spiritual defence’ that ran recently in The Catholic Telegraph. Click on the link [broken link] to The Catholic Telegraph to read the full article. Although to many, including some Catholic clergy, they are not surprised at all. During the run of his popular [psychic medium] show, he always promoted the use of the rosary and shared that he prayed it daily. John Edward is an Irish-Italian Catholic. In regards to this specific book and his promotion of the rosary, he even received recently a papal blessing, signed by the current pope when he was still Cardinal Joseph Ratzinger, head of the Congregation for the Doctrine of the Faith. [Wow – I’d like to research this further – the Pope is “God’s man on Earth.” All his decrees are (supposedly) infallible – yet he gave his blessing to Edward’s book??? Shocking.] The book has become quite popular with Catholics and non-Catholics alike.